Yep. 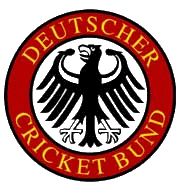 German cricket. Plus "bund" is a funny word. England have been knocked out of the Cricket World Cup by Germany after a thrilling drawn game in Sri Lanka. Fans of the minor sport are thought to be distraught after such a heartbreaking elimination. The game was tied at 230 runs each after 50 overs, so the umpire deemed that the game should go to a penalty shoot-out after a portable football goal was wheeled into the outfield. Each wicket keeper acted as goalkeeper for the shoot-out, with the previously unfancied German team coming out on top. The German team is ranked eighth in Europe amongst the non-test sides and is full of amateur “athletes” compared to the pie-eating, standing in a field, game-called-off-if-its-raining full time players from the England team – some of whom earn up to £12,000 a year. Germany featured various professions in their side – a bratwurst salesman, a lederhosen maker, a oompah band member and former Spurs midfielder Steffen Freund. England missed all three of their penalties.